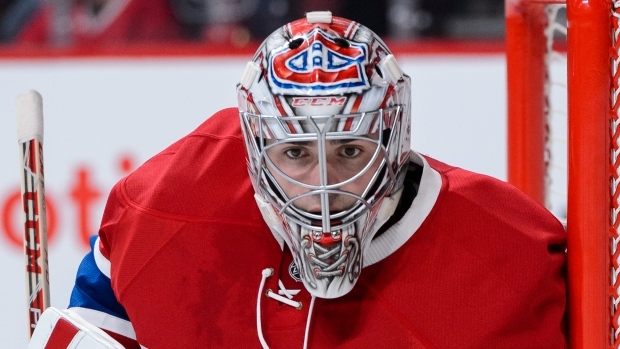 Home / FEATURED / Is Carey Price’s season over? Is Carey Price’s season over? 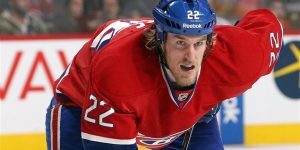 The Montreal Canadiens have been showing their superstar goalie taking daily skating sessions without his equipment for the last four weeks. 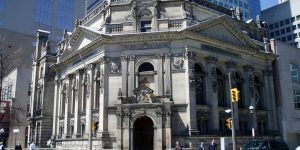 Many experts and observers are quick to point out that based on the skating drills, Price is not really progressing and seem to be stagnating. The Montreal Canadiens management have been providing false information about Price by not really painting the right picture. He returned from an injury he originally suffered at the end of October to only last three games and abandon against the New York Rangers at the end of November. At the time, we were told the best goalie in the NHL would be on the LTIR for six weeks. All was given was a lower body injury and it was the same injury from the one in Edmonton. Now Price has been skating in track gear for the last 4 weeks. What does it tell us? Is the 2015-2016 season over for Price? What is the extent of the injury if he has been skating for so long without any progress? Has he had surgery already? Many journalists and traffic in social media believe Carey Price may have had surgery to his right knee already. It could have been in New York or locally in Montreal. Many also believes it is the same surgeon that operated on UFC legend Georges St-Pierre. If he has had surgery, it could explained why the skating has lasted so long and continues. One thing for sure the type of surgery would not be a ACL repair or even torn MCL. He would definitely not be on skates since early January. One plausible theory may be a torn meniscus torn. But again for a tear in the meniscus, the rehab is not that long. Realistically you could be back on skates and potentially playing after six weeks with intensive physiotherapy. In the Montreal daily newspaper “La Presse”, sports columnist Richard Labbé writes that according to his sources and information he received, Carey Price’s hockey season is over. He further added that the Montreal Canadiens knew about it for a while now. Is it true? Maybe it is, maybe it’s not. But Labbé is well known and a quality journalist, who describes his source as a solid one. He added he was informed the goalie is aiming for a possible return for the end of the season or the playoffs if Montreal makes it. The worst case for Price if it doesn’t get any better is a return on time for Team Canada in September. But in the end, the Montreal Canadiens have pretty much gave up on his return already. This explains the acquisition of ben Scrivens. He stated that Price’s injury is to his right knee and is an internal lateral ligament. The marketing aspect to this is if you make an official statement saying your superstar is gone for the season, then you cut any hopes for his return, which will affect ticket sales. By keeping the fans waiting with hope, you still have that glimmer of hope, he will return and the team will turn it around and make the playoffs. Is it good marketing? Not really because you are sending to your fans a smoke screen of what is really happening. 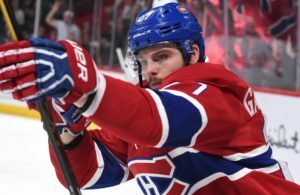 If Price is not to return, why are the Canadiens not saying it officially? The fans deserve that much. They pay the big price to see their teams and doesn’t project a positive image between the team and the population. If Price is gone, then what? 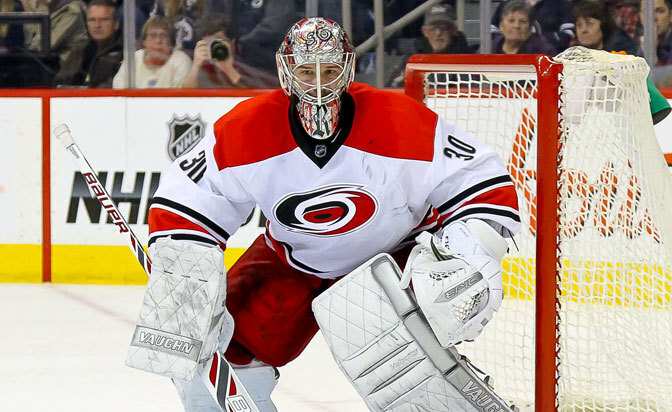 Cam Ward – An alternate solution for Montreal? This could explain why general manager Marc Bergevin hasn’t done anything on the trade front, when the team was tumbling down the standings. He brought Ben Scrivens, an AHL goalie trying to keep the ship afloat until Price’s return. Does he continue now with Scrivens or go for a rental goalie? Like a Cam Ward in Carolina? 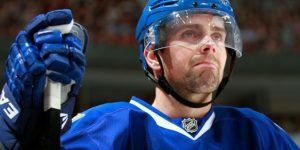 Ward will be a UFA at season’s end and his salary will not impact too much on the roster payroll’s cap space. Does he go for Toronto Maple Leafs James Reimer, who’s been rumored in trade discussions this season? Bergevin will likely wait for the next three or four games. The results of this three game road trip, will likely dictate which way Bergevin will do for his goaltending needs. If they continue to be “in it”, they may opt in acquiring a goaltender for the playoffs. 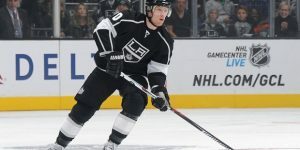 Next Story → Weise traded to Chicago!